Such a bright and wonderful collection ❤! 48 x⭐️⭐️⭐️⭐️⭐️! Здравствуйте, Ваши творения очень красивые. 5 звезд за 36 горшков. Продолжайте в том же духе. Хороших выходных, Софо. Hello, Sofo . I stopped by to visit your gallery and rated with 5* stars 36 of your beautiful pots you have! 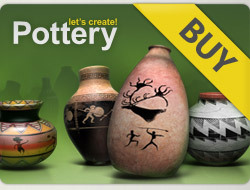 I hope you'll visit my gallery and rate the pots you liked. I will be very happy. Have a nice weekend .